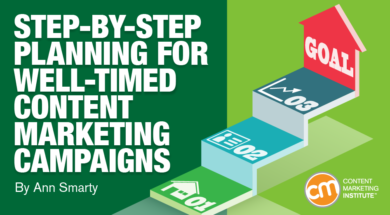 Timing a content marketing campaign to a special day often is a good idea. 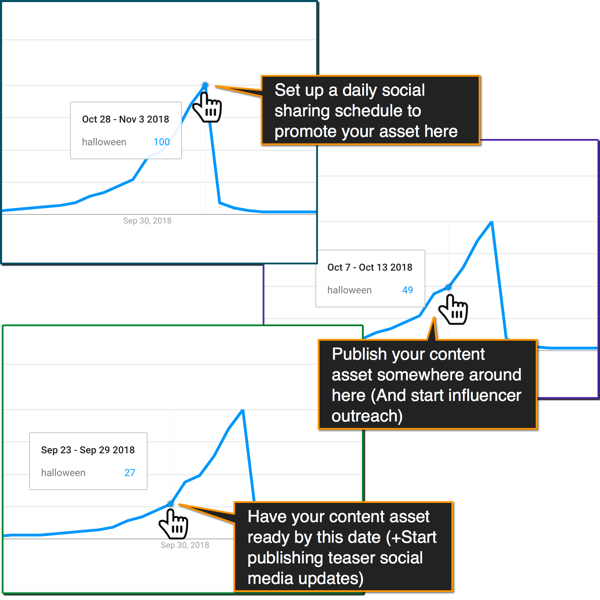 You catch the peak of the interest in a topic and amplify your content assets in a more effective way. But how do you organize and scale the process? How do you plan seasonal and well-timed content to make the most of each trend? Here are the five tricks I use. Big global or country-specific holidays (e.g., Christmas, Halloween, Boxing Day) Here’s a good list of those. 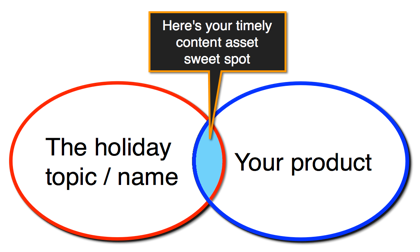 Put together a list of holidays and awareness days to target in your content marketing in the upcoming year. You can use Google Sheets to create a simple calendar. At this point, you just need to create a rough list. To find this intersection, use good old keyword research. 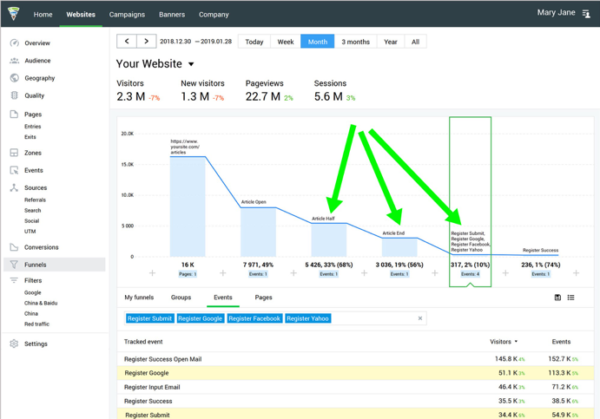 Serpstat has one of the largest keyword research databases as well as powerful filters to slice and dice your keyword data to identify seasonal and timely content assets. 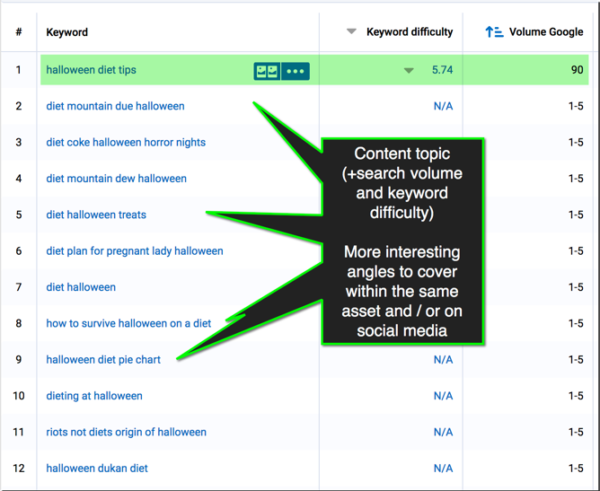 Run your core term in Serpstat and click through to “organic keywords” report. 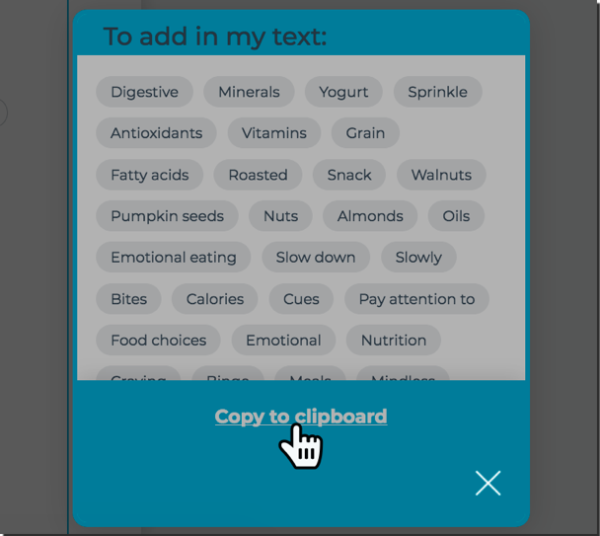 Click “filter,” select “keywords” from the drop-down menu. Keep “includes” in the next drop-down and type the holiday or event name in the next field. TIP: If you are preparing your content for an awareness day or week, research its theme instead of the holiday name. Run through these steps for several core keywords to collect more data and identify more content opportunities. Now that you’ve identified the topic for your upcoming content campaign, you can build it with more angles and ideas. 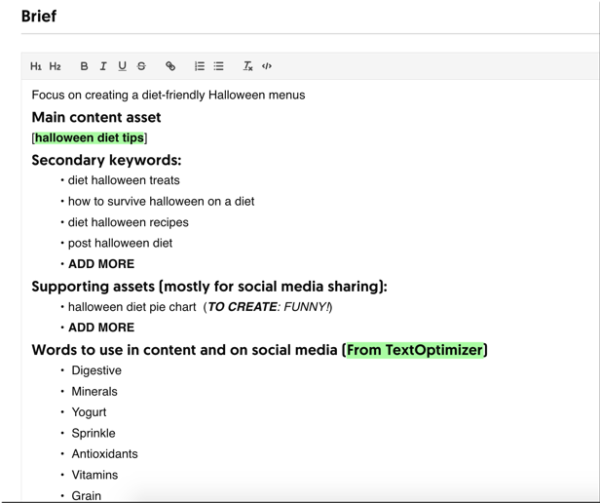 TextOptimizer is a helpful content optimization tool that lets you better understand and optimize your content to match Google and your site users’ expectations. Click through to Text Optimizer’s “optimize” tab. Select “Google” in the next step and then “new text (start a new text)” option. Click the heart icon to add any of the terms to your bucket list. 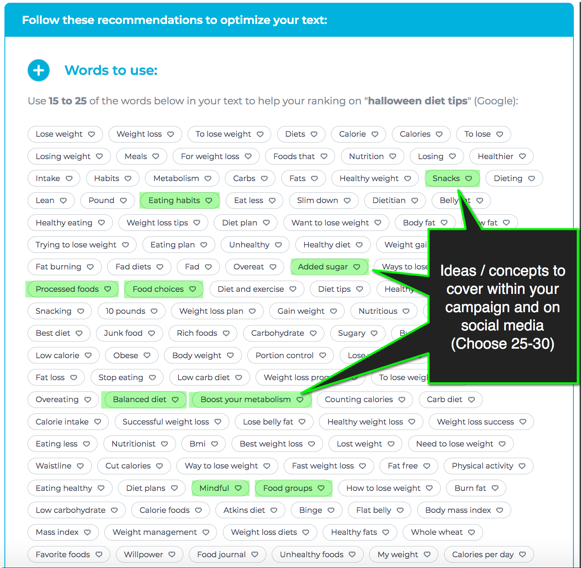 Select 25 to 30 concepts you plan to include in your content. You may use many types of calls to action on your site – buy now, subscribe, follow, download, etc. The beauty of seasonal and well-timed content is that it can generate both sales and brand awareness. To better identify your most effective CTAs, use Finteza, which offers traffic quality and conversion optimization analysis. TIP: Install Finteza as early as you can to collect more data in time for your content planning. Supporting your seasonal content with a well-targeted social media campaign is always a good idea. Put together a detailed campaign brief. I include my keywords, ideas for social media graphs, hashtags, and additional angles to think about. 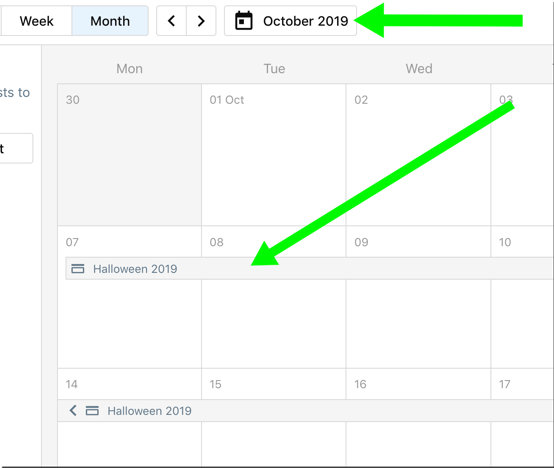 Once your campaign is created, your team sees a campaign ribbon within the calendar view. This helps keep everyone on the same page. Clicking the ribbon takes you to the campaign brief. Now, everyone can quickly familiarize themselves with the campaign focus, goals, and angles, and suggest social media updates to go live on these days. This collaborative tool keeps all the collective efforts streamlined. There’s no right or wrong way to plan a time-sensitive content marketing campaign. The key is to never stop playing and experimenting. Learn to use the tools for each big campaign, mix and match data, and try new things. Which tools are you using to create successful content marketing campaigns? Please share in the comments. Learn more about how technology can elevate your content marketing program at ContentTECH this April in San Diego. Register today using code BLOG100 to save $100.